On one level, Orkney has more heritage than it knows what to do with. Great monuments that would be major tourist attractions in the south of England sit in remote fields, virtually unknown: ‘oh look, that big mound must be yet another Neolithic tomb / ho hum, yet another virtually intact World War II gun battery’. But nothing quite prepares you for the unexpected. 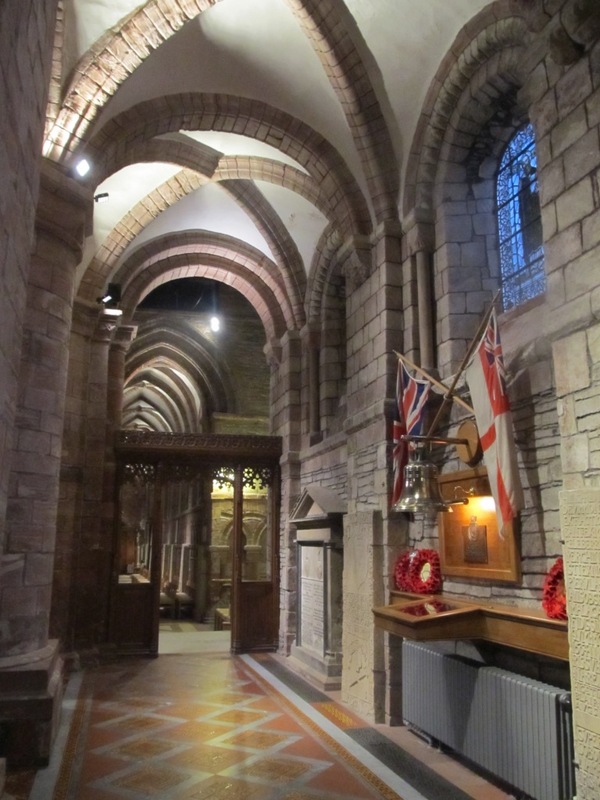 For example, I knew St Magnus Cathedral in Kirkwall had a memorial to HMS Royal Oak, sunk by U-47 in Scapa Bay in October 1939. Very moving it is, too, the centrepiece being the salvaged ship’s bell, which hangs above a book of remembrance containing the names of those killed. But I hadn’t expected the magnificent Cathedral to contain probably the best collection of seventeenth-century grave slabs I’d ever seen. Brought inside to protect them from the elements, they line the walls of the aisles and choir, many of them bearing elaborate memento mori. Some look as though they could have been sculpted yesterday; by contrast, the tomb of the Arctic explorer John Rae is a typically florid piece of Victoriana. The visit to Kirkwall formed part of our trip down over the Churchill Barriers. 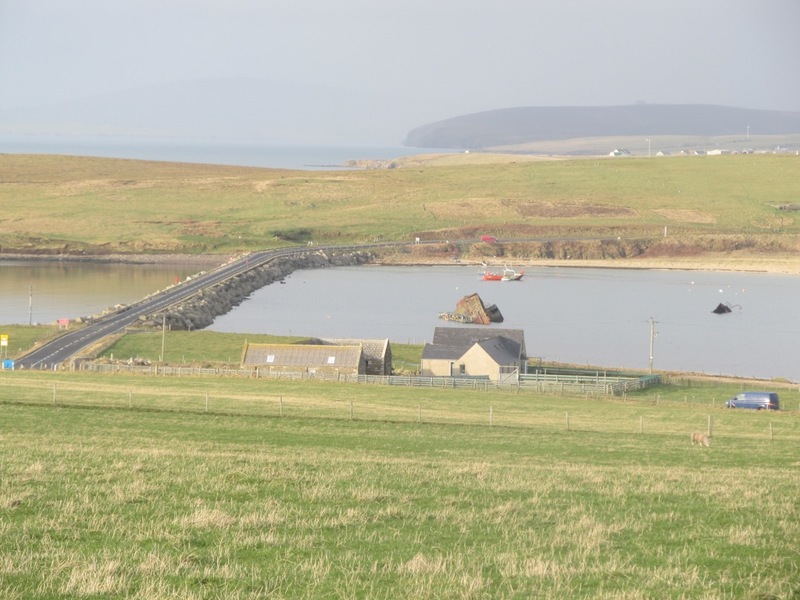 The eastern entrances to Scapa Flow formed the main vulnerability of the great anchorage, and during World War I steps were taken to seal these with blockships. The remains of some of these have proved remarkably durable, notably that of the Reginald, a schooner, but by 1939 other wrecks had changed position or deteriorated, leaving the barrier incomplete. This weakness was exploited by Gunther Prien, who conned U-47 through Kirk Sound, found Royal Oak at anchor and eventually managed to torpedo her after several failed attempts before leaving by the same route. – the Italian Chapel, an ingenious conversion of a Nissen hut into an enduring tribute to the power of faith. 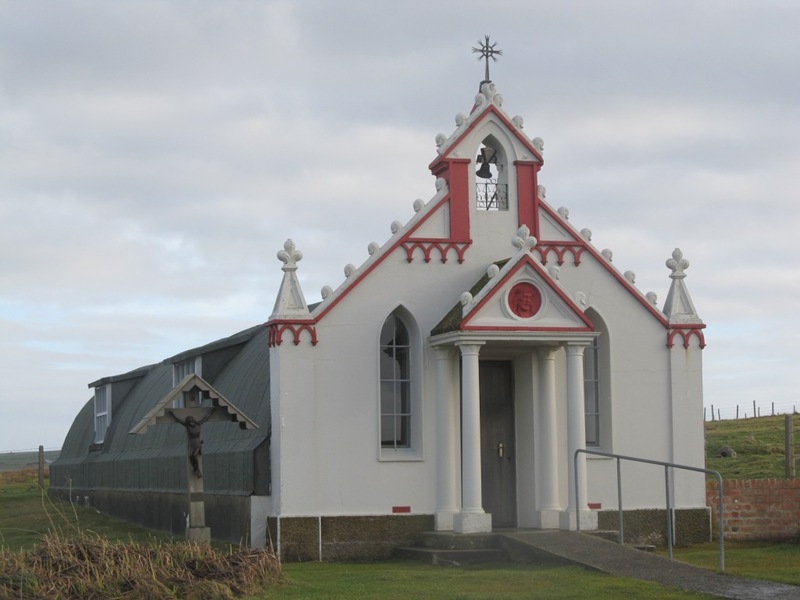 Ironically, though, the chapel was only finished after the Italian prisoners had been moved from Scapa at the end of the war. Our final day on Orkney was spent at Stromness, a delightful town which has a fascinating, old-fashioned museum (and hats off to it for staying open in the depths of winter!). 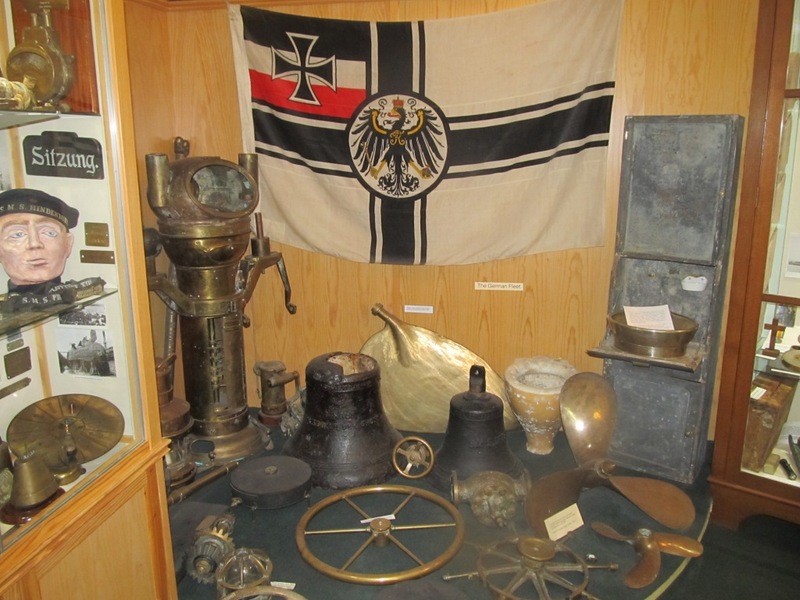 This contains many artefacts salvaged from the wrecks of the German High Seas Fleet, but also has a great deal of material on the town’s maritime history, on John Rae, and on various other episodes of Orkney history that I’d not come across before. 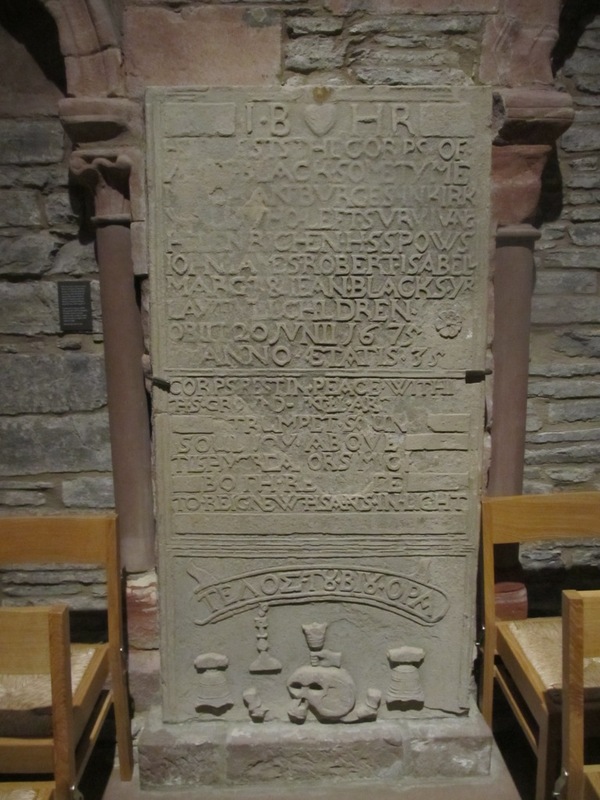 One of the most interesting stories was that of the pirate John Gow, immortalised by Defoe, who came to grief while attacking mansions in Orkney in 1725. 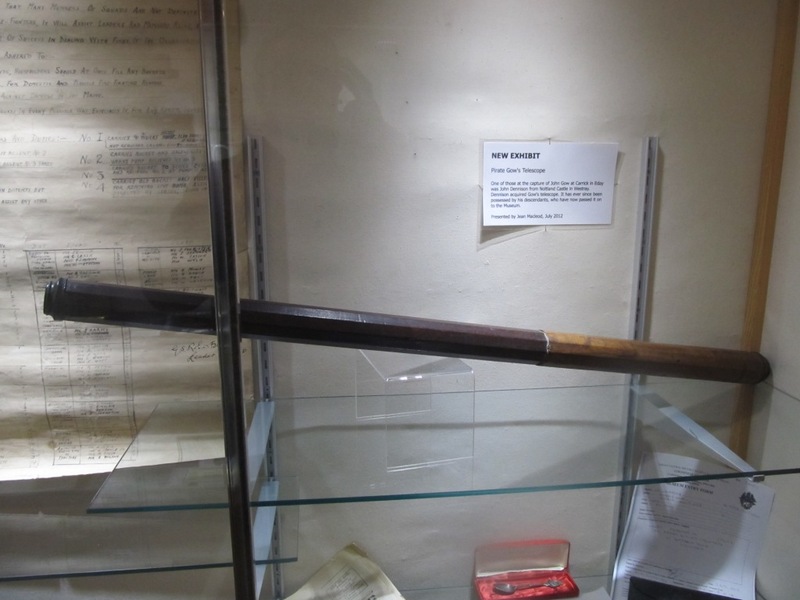 The museum has several display cases which contain its newest acquisitions, and one of these contains the ‘Pirate Gow’s’ telescope, seized by one of the men who captured him and recently bequeathed to the museum by one of his descendants. All in all, our stay on Orkney and excursion to Shetland for Up Helly Aa proved to be a truly memorable break. We certainly hope to go back one day, although I think we’ve both decided against repeating the 620 mile road trip to and from the ferry… And the 64,000 dollar question, i.e. will the trip provide inspiration for future books? It might, although the islands have already provided the setting for crime thrillers – notably the Shetland books of Ann Cleeves, soon to be turned into a TV series starring the excellent Douglas Henshall – and for one of the most famous spy stories of the early twentieth century, The Spy in Black. But as I’ve pointed out in previous posts in this series, there was plenty of naval activity in the islands during the seventeenth century, so perhaps Matthew Quinton will find his way there at some point!